I can't be happier. Jay offers great prices, great quality, and just simply amazing fish. In the future I will be definitely stop by here first before I make any purchases on fish. 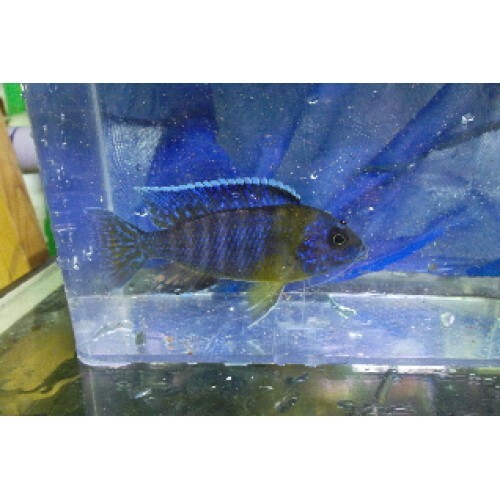 Aulonocara Maulana Bi-Color males are blue with a yellow shoulder. They also have darker blue stripes on the body. Females are cream with brown stripes. This fish naturally occurs in the lake and is not a hybrid. The 500 sometimes used in its name can cause confusion. Named after Alfred Maulana of Stuart Grant's dive team, these fish are part of the Stuartgranti group of peacocks. Last, grow out count 04/17/2019. Next, grow out count due 05/03/2019. Grow out counts are counts of the fish in stock checking for additional males and increases in size. This fish is grown out from in-house smaller stock obtained from my wholesaler and added to from a wholesaler. 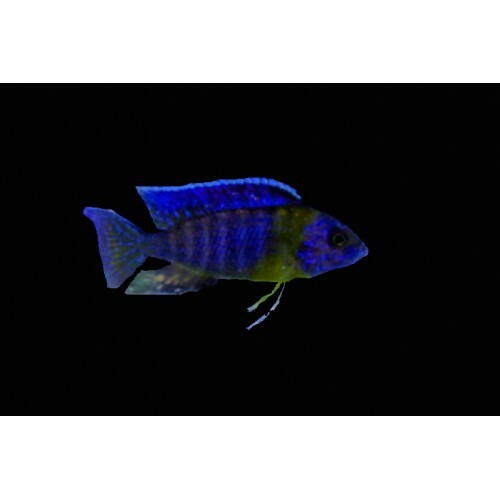 They are rarely available from the wholesaler in 3" or larger males.